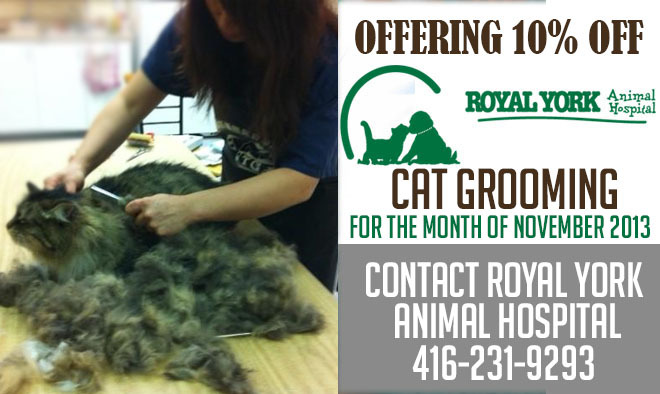 Royal York Animal Hospital believes all cats owners like to see their cat with a nice shiny and fluffy coat. We also know that most cats shed quite a bit of hair and the shedding can lead to hair balls, those hair balls can lead in turn to vomiting and other health concerns. Shedding can also be a nuisance and the common saying many of you have heard is true ” no outfit is complete without pet hair” ! So, while we laugh about cat hair on our clothes and furniture and may avoid the hairball in the hallway there can be some practical ways to at least limit the amount of hair in your home. We love our cats but cat hair not so much! 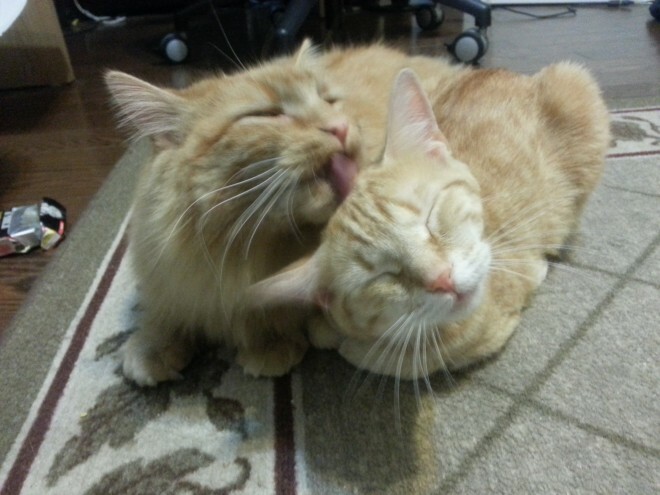 Cats clean themselves continually on a daily basis. For some cats this is enough but for longer haired cats it often isn’t. Regular cat grooming and brushing is the only answer to really getting out all the loose hair. Some kitties love brushing, some will tolerate it and some are not really keen on you brushing them at all! Also, it is often hard to schedule regular brushing into our own busy lives. As professional pet groomers, we can tell you that the number of cats we groom has really been on the increase the last several year. People are busier but at the same time enjoy a closeness to their cats who in turn enjoy free access to everywhere in their homes resulting in the nuisance of more cat hair everywhere. Cat owners tell us that it is really helpful, even once a year, for their cat to be thoroughly brushed to remove all the matts, tangles and dead hair and to be bathed to start fresh again. In between grooming appointments we can recommend some some tools for you to use at home to help your cat maintain a glossy and matt free coat. Late fall, before it gets too cold, is an excellent time for a thorough bath and brush out. As an added incentive RYAH will be offering 10% off all cat grooming for the month of November 2013! Your kitty can be beautiful just in time for the holidays and your home will be a little less hairy too!